What Makes South Friars Bay One of the Most Popular? 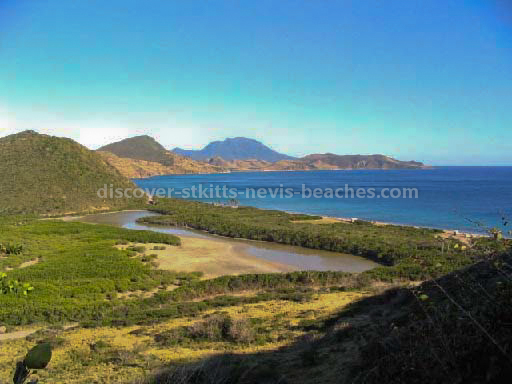 So is South Friars Bay among the most popular of all St Kitts beaches? That's a question I hope to answer as I tell you more about South Friars Bay. 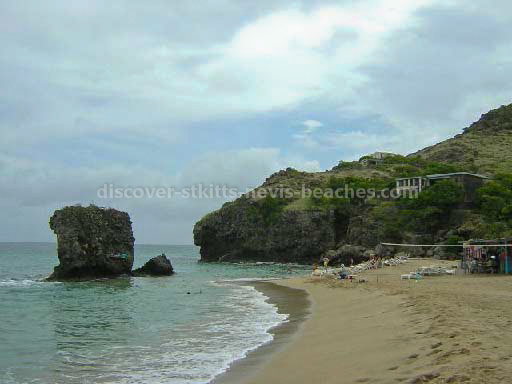 What I am quite certain about thought is that no trip to St Kitts is complete without a visit to South Friars Bay. 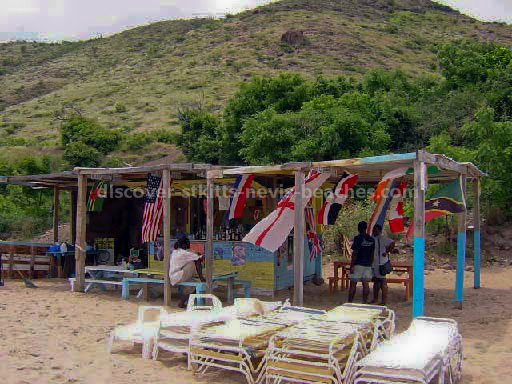 In addition to being one of the most popular of all St Kitts beaches, the beach at South Friars Bay offers great swimming and snorkelling, and is the home to a number of local beach bars including Godfather's Bar and Grill, Sunset Beach Bar, Arawak Beach Bar, Bikini Bar and Grill, Mongoose Bar and Shipwreck Bar and Grill. 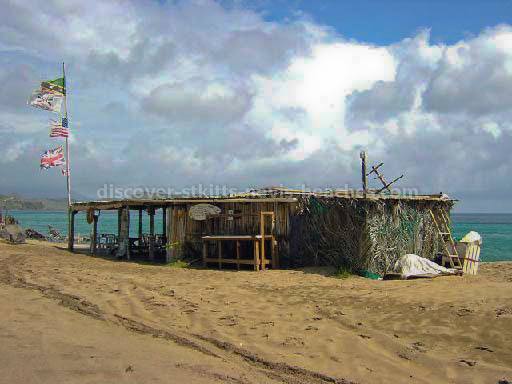 So... what makes this St Kitts beach so special? 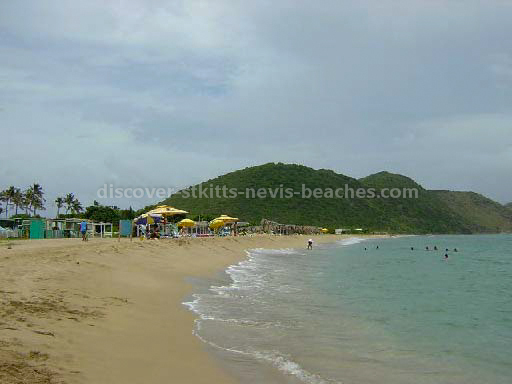 First of all, this beach happens to be among the best of the St Kitts beaches located along the leeward coast. Since this beach is a Caribbean or leeward coast beach, the waters at this beach tend to be relatively calm. The choice of beach bars, the long stretch of golden sand along this beach, the near shore reefs at both ends, the calm, turquoise waters, and the breathtaking scenery that surrounds this St Kitts beach makes it ideal for swimming, sunbathing, snorkelling or just chilling out. However if you'd prefer to just take a leisurely stroll along the beach, I am certain that you will enjoy walking along the long stretch of golden sand beach at South Friars Bay. In answering the question what makes South Friars Bay one of the most popular of all St Kitts beaches, I would say that it is definitely linked to the fact that it is a fine beach that offers a variety of activity. I also believe that the presence of beach bars (such as Godfather's Bar and Grill, Sunset Beach Bar, and Shipwreck Bar and Grill to name a few) that offer great food, refreshing ice cold drinks and good music in a relaxed atmosphere is also an attraction for some. The landscape surrounding the beaches on the Southeast Peninsula is a sight to behold, and in the case of South Friars Bay this is certainly the case. The view of Friars Bay from the top of the Southeast Peninsula Road on Sir Timothy's Hill is breathtaking. From here, you will have a magnificent view of the Friars Bay Salt Pond and the St Kitts beaches at North Friars Bay and South Friars Bay. 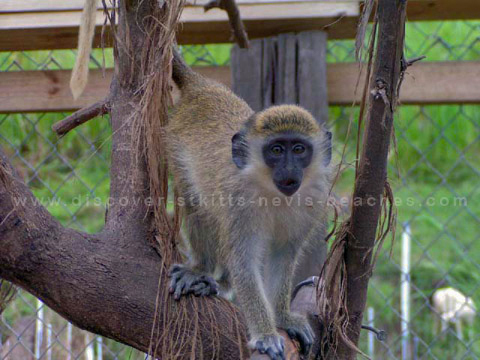 And speaking of the salt pond and mangrove swamp at South Friars..., it serves as habitat for a variety of wildlife including monkeys, land crabs, mud fiddler crabs, and an array of birds such as egrets, herons, ducks, stilts, plovers and woodland bird species. 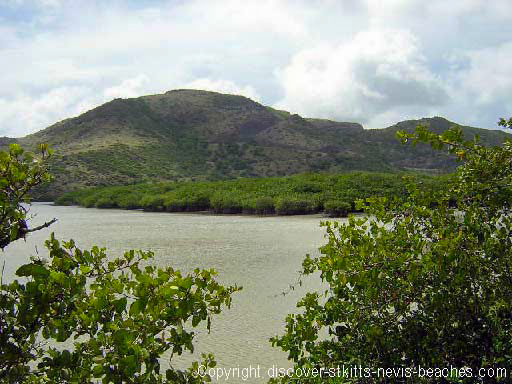 The Friars Bay salt pond also functions as a sediment basin in collecting and filtering rainwater runoff from the surrounding hills. It is said that the shape and character of the pond change seasonally. So what do you think? 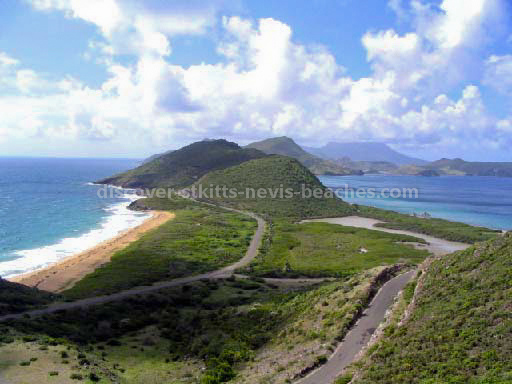 Do you think that South Friars Bay is one of the most popular of all St Kitts beaches? For those of you who have visited St Kitts and wish to share your opinion about which of the St Kitts beaches is most popular, please leave your comments below. 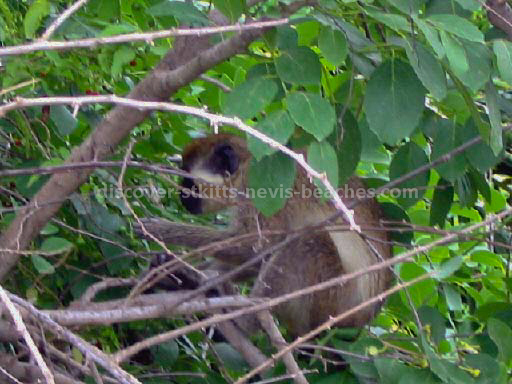 You may also send me your comments by completing the form on my Questions and Comments page If you have not visited St Kitts, then this may be a great time for you to plan a trip to St Kitts and Nevis.